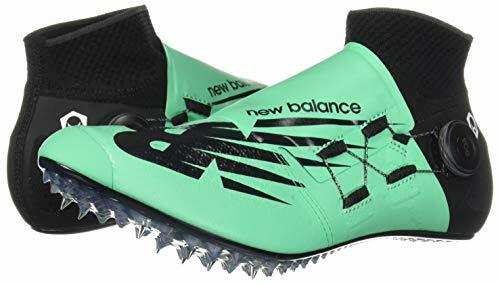 To sprint as fast as you can at track meets, you’ll want to find the best possible track spike for sprinting.Sprinting spikes are designed to keep you on your toes and provide maximum traction for thrust and power. They typically fit snugly – they should feel like they are an extension of your foot. 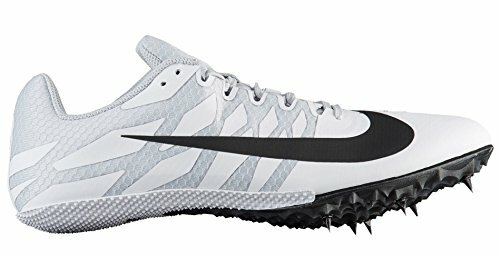 The best sprinting spikes can cost upwards of $180; however, there are still great spikes out there at budget-friendly prices. 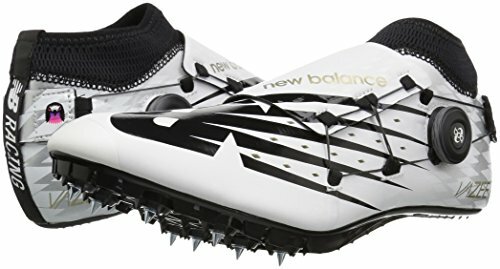 Beginner spikes won’t be as light, have as much traction, or fit as well as higher-end sprinting spikes. But these are fine for most athletes or runners new to sprint distances. We’ve reviewed over 20+ sprinting spikes. Here are our favorites…. This unisex New Balance sprint spike is the best possible spike on the market. It features a snug upper with the BOA lacing system to fine-tune a perfect fit. The knit heel keeps the weight down while providing a fit as if the spike is an extension of your foot. A newly designed spike plate provides awesome traction and a dynamic toe-off to propel you down the track. With an 8-spike plate, you’ll have plenty of grip while you sprint. Ideal for 100m to 400m, the Sigma Harmony is not an inexpensive spike. But it’s the lightest and best option available right now. Designed specifically for New Balance sprinting phenom, Trayvon Bromell, the Vazee Sigma is lightweight and fast with a perfect fit. These unisex sprinting spikes are similar to the Sigma Harmony, but a tad heavier and a tad less expensive. With an 8-spike plate, these shoes will keep you locked in on the track. The full-length spike plate allows the perfect amount of precision with just the right amount of flex. The Vazee Sigma also has a unique BOA lacing system allowing you to fine tune the shoes for a perfect fit. The no-sew upper means your foot stays locked in but comfortable. 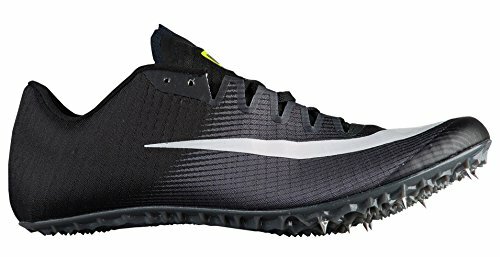 This spike is not the cheapest on the market; however, its adjustable fit and aggressive traction make it a great sprinting spike for everyone from high schoolers to elite athletes. The Zoom Ja Fly 3 is Nike’s best-rated sprint spike. This unisex spike is lightweight with an amazing fit and responsiveness. The Dynamic Fit system keeps the midfoot and heel firmly in place. Offset lacing allows for a custom fit while keeping you locked-in to the spike. The super-light spike plate is responsive while providing enough firmness to propel you down the track. Like the New Balance Vazee Sigma, these are not the cheapest sprint spikes available. But for the fit and performance, they are a great spike. The Showdown is Saucony’s premier sprint spike. Featuring an aggressive spike plate and a unique ISO fit that securely wraps the foot, these spikes are fast and feather-light. ISO lacing secures the foot without any pressure points or hot spots. It’s designed for a soft fit that still keeps your feet snugly in the spikes. The 10-spike plate on the bottom is the most aggressive on the market. You’ll have insane traction and flex in these spikes. These top-of-the-line unisex sprint spikes are designed to make the fastest athletes go even faster. The EvoSpeed Sprint 8 spikes have a soft upper for comfort but manage to keep you locked in with a firm synthetic upper. The microfiber suede is designed to be soft enough to wear without socks. The 8-hole spike plate provides plenty of traction and stays flexible enough for a responsive feel. The spike plate also curves to keep you running on your toes. 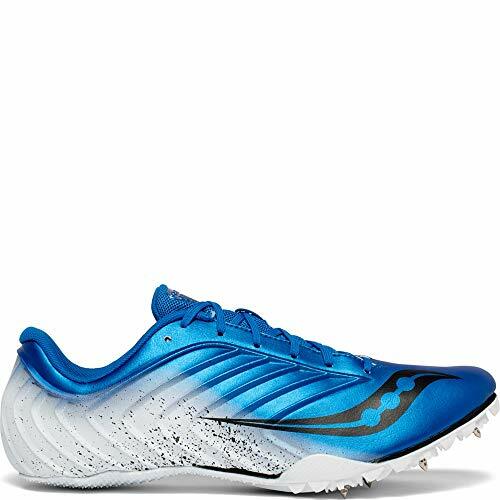 Worn by the best sprinters in the world, these spikes will keep you fast and nimble. The budget Spitfire 5 is the ideal sprinting spike for an athlete who wants to get the best sprint spike for the money. The 7-spike plate has traction on the track, but remains nimble enough for a responsive feel. While it lacks the aggressive traction and ISO fit of the Showdown, it has a soft upper that keeps you securely in the shoe at nearly half the price. The latest version of the Spitfire features a newly redesigned upper for a sleek look and snugger fit. The unisex Zoom Rival S 9 is our second favorite budget sprinting spike. With its synthetic upper, it’s soft yet durable. The rigid spike plate holds 7 spikes per shoe and has added traction built into the plastic plate itself. The inner lining is soft, making it suitable for wearing without socks. Sprinting spikes are meant to be tight but comfortable. For people who have never worn them before, be warned they won’t feel anywhere near as nice as your trainers. This is because they are designed to make you as fast as possible on the track – not for comfort and protection at practice. Many spikes are narrow, especially in the mid-foot. This is by design to keep your foot locked securely in the shoe. If you have wider feet, it can be tricky to get a good fit because they run so narrow. Some people try going up in size to get extra width. Sprinting spikes should also be fairly tight in the toes. You don’t want your toes smooshed in the front of the spike – instead you want them as close to the front as possible without touching. This snug fit is to keep the spike as secure as possible. It should feel like an extension of your foot with the traction and stiffness to make you run faster. If you have flat or low arches, you may be concerned about finding a pair of sprinting spikes with arch support. But unlike trainers that come with varying levels of built-in support for over-pronators (often people with flat arches), sprinting spikes don’t come in categories with different levels of support or stability. So what are your options if you have flat feet? None, really. But don’t worry! Sprinting spikes are usually worn for such a short distance, extra support isn’t necessary. If your feet hurt wearing them, then only put them on for meets. Use trainers for practice. There are thin inserts that might fit in sprinting spikes (like the Superfeet Carbon), but these are only necessary in special cases. You may have noticed that the more expensive spikes have more holes for spikes as well as more traction on the plastic plate. 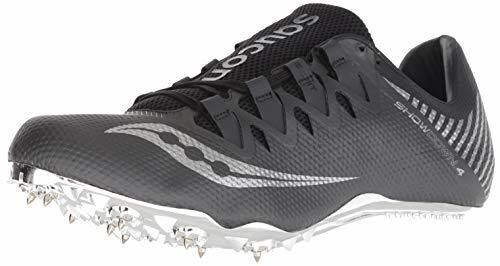 When sprinting, you want the spikes with as much traction as possible. This helps you push off and accelerate. You’ll also find that all the spikes and traction are on the ball of your foot and toes. This is perfect as you’ll be running on your toes for the entire race. Your sprinting spikes should be as light as possible. They should feel like an extension of your feet – getting them as light and snug as possible will help you run to your max ability. 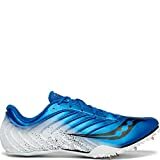 What distances can I run in sprint spikes? Most sprinting spikes are designed for distances of 400 meters or shorter. Anything longer and you’ll start heel striking as you run. Because sprint spikes are designed to make you run on your toes, they won’t feel comfortable or natural if you land on your heels. 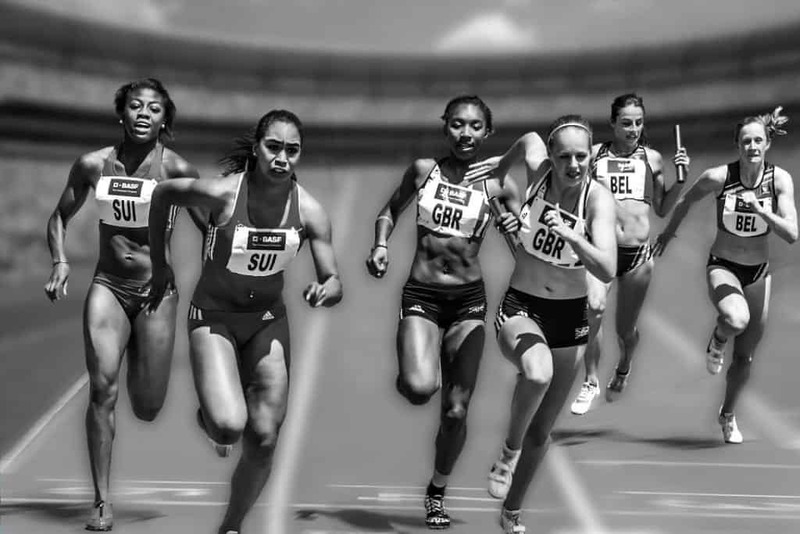 If you plan on running distances longer than 400 meters, but still do some sprint distances, middle distance spikes are recommended. These have more flexibility to allow for heel striking, but offer enough stiffness that they’ll be appropriate for sprinting. 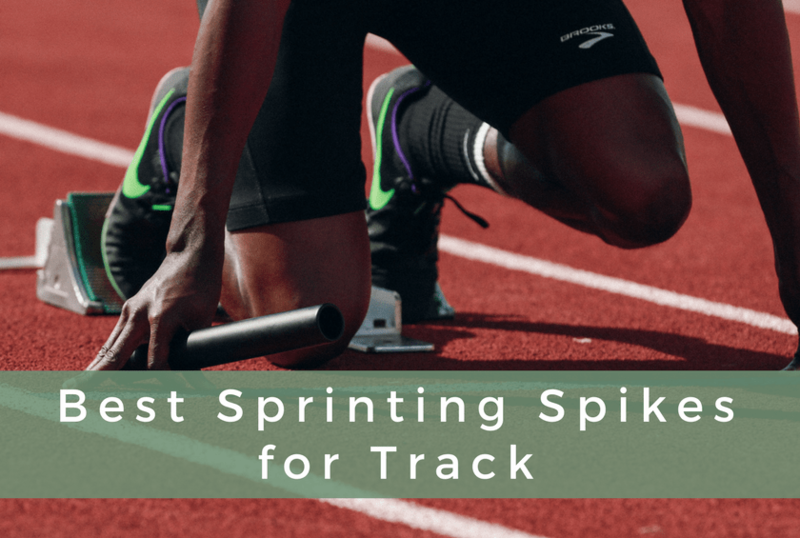 What’s the difference between sprint spikes and other types of track spikes? Sprinting spikes have stiff, hard spike plates on the bottom of the shoe. They are designed to hold you feet firmly in place and keep you on your toes as you run. The upper is often more substantial than other spikes to lock in tighter to your feet. Middle distance and long distance spikes are more flexible, making them better for heel striking. The uppers are often lighter and less substantial than sprinting spikes. They typically have fewer spikes since traction is less important for longer distances. Yes! They can be taken in and out as needed. Depending on your meet, you may be required to run without spikes or with lengths different than what’s included with the shoes. The spikes can be removed with the a spike wrench (included in these spikes). How do I put the spikes on the shoes? Start them off with your fingers, then tighten them with the included wrench. Are spikes included? What length? All good sprinting spikes come with spikes and a wrench to take them in and out. If your shoes didn’t come with spikes, they are likely an inferior brand or got lost somewhere in transit. Check with the store where you bought them. 1/4 inch spikes are the standard length for track spikes. 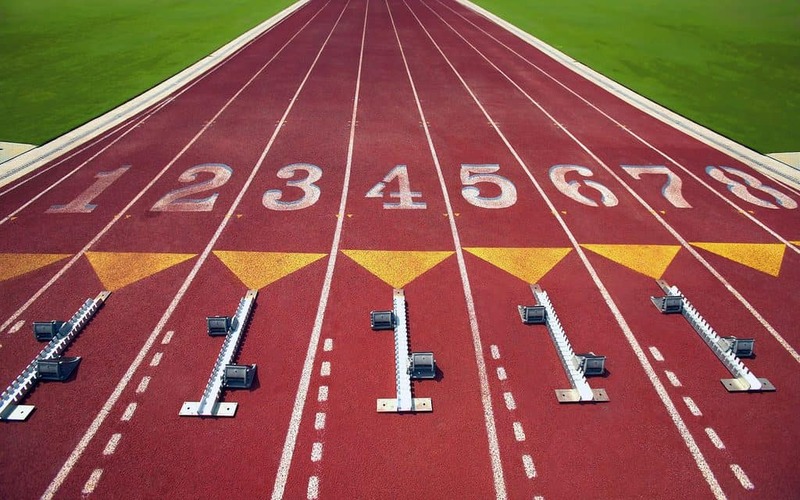 Depending on your meet, you may need to swap them out for shorter or longer spikes. Always check with your coach to determine the correct length. When in doubt, use the 1/4 inch spikes included with the shoes. What’s a spike bag and do I need one? Spike bags are small, plastic bags with a cinch drawstring to hold your spikes when transporting them. The better spikes come with a spike bag. They can also be purchased separately. What size should I order for unisex shoes? Most spike shoes are listed in men’s sizes, even for unisex shoes. Depending on the brand, women’s sizes are 1.5 to 2 sizes smaller than men’s. Check the brand for the exact difference. When in doubt, most brands use 1.5 as the size difference. So if you are a women’s size 8, then order a men’s size 6.5. Should I run with socks or without? Many athletes feel they run faster without the burden of socks. They also claim they get a more responsive feel. The downside to going sock-less is you’re more prone to hot spots and blisters. If you don’t get blisters and want to go sock-less, by all means, do it. If you are prone to blisters, a thin, moisture-wicking sock (like these) are a good compromise. You might also want the extra cushioning and comfort of a thicker sock. That’s also fine. Ultimately, it’s personal preference and your choice will likely have little impact on your final results.